Our chauffeured mini-van transportation is the convenient way to transport your smaller group to and from the airport, hotel or convention sites. Our vans will transport up to 6 passengers, and if your client needs extra space for luggage or promotional equipment, mini-van transportation is the perfect fit. With Apps like Uber and Lyft it’s becoming ever so easy to book a taxi. However, with all the news reports of terrible and horrific experiences some of the riders had, I think there still needs some work to done. It’s not always just about getting from point A to point B. Unlike UPS or DHL, we at Aura are transporting you and your loved ones. Safety is always a top priority for us. With Aura you can rest assure you are getting in a safe vehicle driven by a screened and trained professional chauffeur. In order to better service our customers we are continuously improving. We replaced nearly half of our fleet with new vehicles including new sedans, SUVs, and buses. We recently upgraded our phone lines and website to allow for a more pleasant experience while booking your reservations. If you need a car service in Englewood or an Englewood taxi service please call us at 201.530.0333 or visit our site by clicking the button below. Aura Car & Limo Service has been providing non-emergency medical transportation for nearly 20 years. We offer our services for anyone looking to travel to and or from their doctor appointments. Aura is the exclusive transportation provider for Hackensack University Medical Center (HUMC) and the John Theurer Cancer Center both located in Hackensack. Aura provides around the clock service -24 Hours a day, 7 days a week, to better service each of our customers. 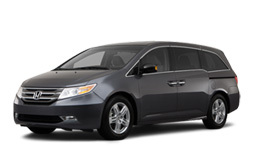 We specialize in providing reliable transportation for the elderly. We are the exclusive transportation provider of Heritage Pointe of Teaneck. If you need transportation service to Holy Name Hospital or Englewood Hospital for any non-emergency reason, do not hesitate to call Aura. Aura always has cars in the Hackensack, Teaneck, Englewood area, therefore, your car is never too far. We provide taxi service to Englewood including flat rates to Englewood Hospital. If you have any questions please call our office at 201.530.0333. If you need a Taxi in Englewood look no further. Aura Car & Limo Service is expanding its service to better service the Englewood area. We are making every effort to keep vehicles in Englewood in order to cut down on the wait time for passengers looking to get picked up in Englewood. Englewood Taxis are hard to find. Aura Car & Limo Service want to fill that void and service Englewood as readily as it services Teaneck and Hackensack. Aura and its affiliated taxi service, BTS, are ready and waiting to be at your service. Let us become your Englewood Taxi Service. Call us today at 201.530.0333 or visit our site by clicking the button below. Aura and its affiliated taxi service, BTS, have proudly served Teaneck, Hackensack, Englewood and the rest of Bergen County for nearly 20 years. Being one of the best Englewood Taxi Service for the so many years we are regularly asked for restaurant recommendations. This article is meant to highlight some of the best restaurants in Englewood, New Jersey. Classic Mediterranean mains & sides, plus wraps & salads, are served in a fanciful, cozy atmosphere. A large menu of Pan-Asian & American eats is offered at this retro cafe with homemade ice cream. Lively destination serves up generous plates of Latin American fare in a colorful, festive interior. Polished trattoria prepares traditional Italian fare in a white-tablecloth venue with patio seating. Eatery with modern decor & outdoor seating serving curries & noodle dishes, plus lunch specials. Remember the easy way to get from point A to point B in Englewood NJ is by call Aura Car & Limo Service.